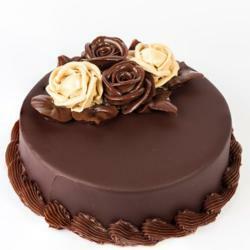 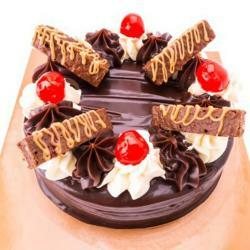 Product Consists :1 Kg Dutch Floral Chocolate Cake (Cake Decorations will be made as per availability ingredients it makes a little bit difference as per cake Image). 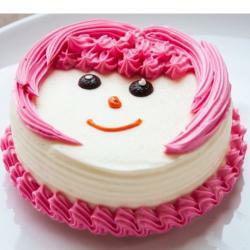 (Ideally, it is advisable to place designer cake orders 24 to 48 hours in advance. 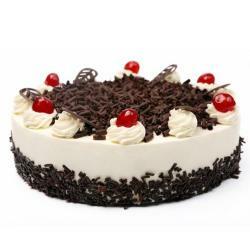 Please note that each baker has his own way of designing a cake, there might be slight variation in the cake in terms of design and shape). 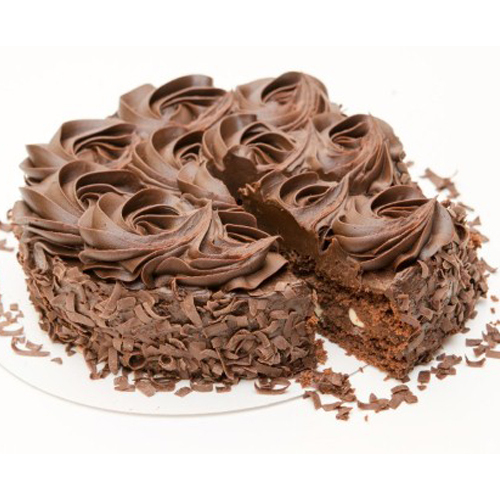 A moist individual Dutch Floral Chocolate Cake enrobed with a chocolate whipped cream.This treat is definitely for chocolate lovers only,our luscious, moist chocolate cake is enrobed in a heavenly chocolate.This cake is garnished with chocolate cream layer and designs made from chocolate cream.This cake is bound to bring smile on the face of the receiver.The rich taste of chocolate coupled with topping will be a real delight for your special ones.This flavour will look amazing for any occasion like Birthday, Anniversary,Friendship Day, Mothers Day Etc.Product Includes:1 Kg Dutch Floral Chocolate Cake.